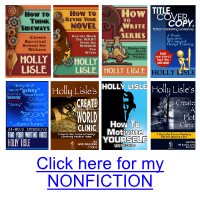 What is the best thing about my How to Write a Novel class? I explained that I would be using their words along with their names or forum IDs to tell people not yet in class what mattered most about it to them. I asked only on the private How to Write a Novel forum so that these would only be comments from verified, active students… and my folks started answering immediately. Better yet, answers are still coming in as I write this. Here are some of them. I have not cut or excerpted these — I’m letting the folks taking the class now talk to you themselves. I’ll post some more of these on Monday. The best thing about Holly’s How to Write a Novel class is that, after many half-finished novels, I’m finally learning how to complete one. To be able to see an author write a book alongside me and demonstrate the lessons I am learning has been priceless. 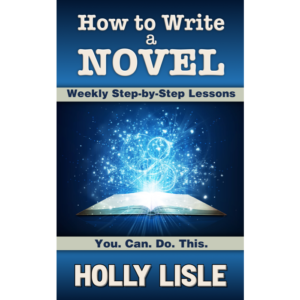 Seeing Holly’s process at work as she hits snags, writes towards new ideas, and fixes problems as they arise in first draft has changed the way I work. How to Write a Novel class is giving me a system and structure to get out of my own way and get words on the page. The worksheets in the class are the best part because Holly gets you asking questions that lead to surprisingly useful answers. She’s an absolutely delightful guide. Don’t miss the best possible price on this class! The best thing about this class is that while I know I don’t have time to write a book right now, I know that the course is sitting there waiting for me to make the time. The best thing about this class is that Holly doesn’t just give you a list of steps to follows but she break down the process and give real life examples while teaching the method. Then you get to watch as she writes her book implementing the methods taught in the class. * The way she teaches it gives you the opportunity to reverse engineer something you think worked in a book you like and apply the method to your own writing. Also you have the opportunity to go thru this process with other students who are from varying backgrounds. This class and experience is awesome. * [HOLLY interjecting here] You can literally watch me write. I’m capturing on video each word of the first draft of the novel I’m creating specifically for this class. The videos are at the bottom of each corresponding weekly lesson. They start with Lesson 5, when we’ve finisheh building our ideas, and we start our books. You’ll see every good thing I get. And you’ll see every mistake. I make some really interesting mistakes in first draft. Not everyone finds the videos useful (and watching is not required). But for some folks, they’ve been a game changer. 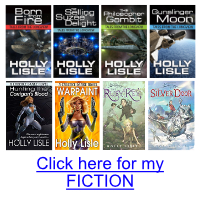 I had spent about 6 months writing my novel when I realized it was never gonna work. The idea was great but my execution sucked and I needed to start over. Luckily I discovered Holly’s Novel Writing Class that same week. The best thing about this class is its really great for a first time novel writer like me. It really help me think through the concept, character development, descriptions, and her approach to research was freeing. I am on chapter 21, over halfway through the first draft of my middle-grade adventure novel. And every time I sit down to write I can’t wait to find out what happens next. It’s that exciting. 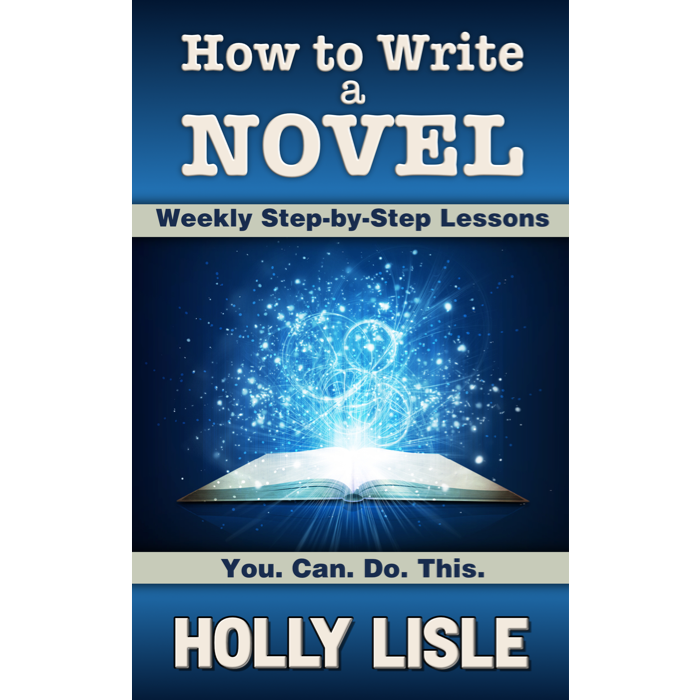 This class is the blueprint you have always wanted, but couldn’t find on how to write your novel. As long as you do the work you WILL have a novel at the end of the class. The forums and Holly help to make sure everyone understands and can move though the writing process. Holly also gives you a massive amount of tools to work with. Holly’s classes are the best thing I have bought for moving my writing forward.